Antique Bazaar of Strathalbyn is South Australia’s premier country Antique Market. Our store is located at 25 High Street, Strathalbyn on the beautiful Fleurieu Peninsula, which is an approximate 45 minute drive from the Adelaide CBD. Antique Bazaar of Strathalbyn has a spacious, well designed and clean air conditioned showroom, offering a pleasurable shopping experience all year round. Our store is owned and managed by Brett Henningsen, who has enjoyed being an Antique Dealer for 22 years, buying and selling in almost all fields of Antiques & Collectables. 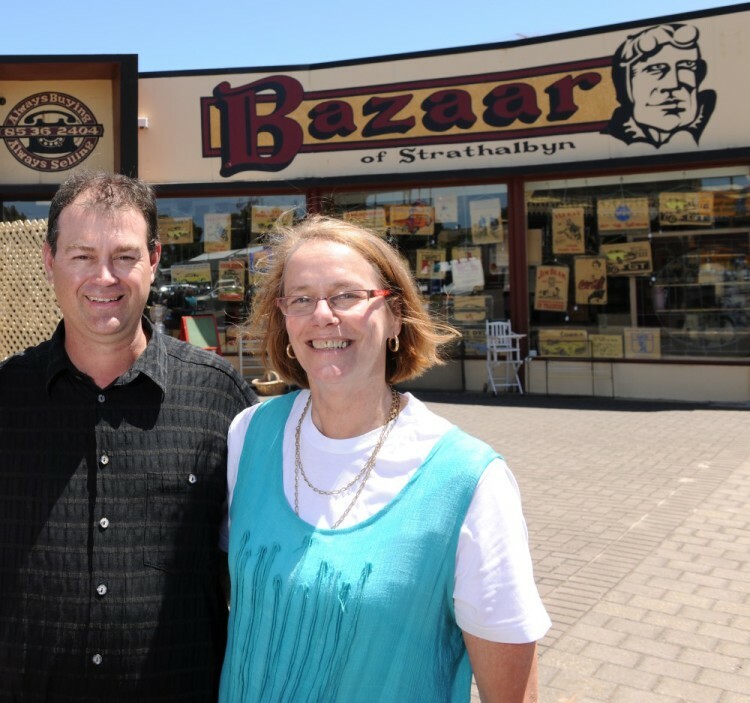 Owner/Manager Brett Henningsen with staff member Rhonda McCarthy outside the front of Antique Bazaar of Strathalbyn.